In this exercise we look at converting your existing template in to a GatorExpress enabled version. 1. Go to the email that you created for exercise one & copy the HTML code. 1. Remove the article text underneath the image. 2. Insert an article block from the right hand side tool bar. 4. 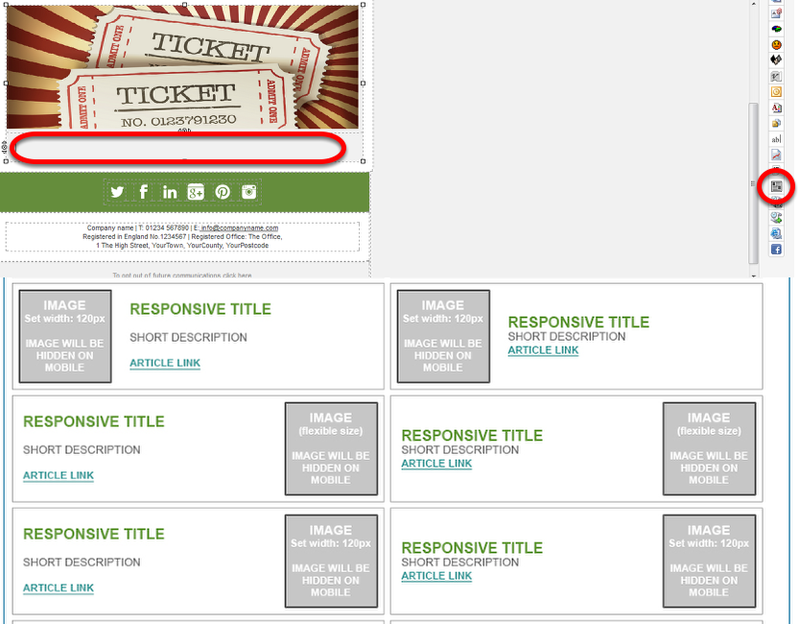 Select an article block that is responsive and contains an image.